Experience the best of the city from the brand new Cobblestone Hotel & Suites in downtown Stevens Point. With its spacious lobby, 24-hour Wolfgang Puck Coffee, and fireplace, the Cobblestone Hotel and Suites warmly welcomes you. The hotel’s premiere location provides convenient access to an incredible array of Stevens Points attractions, from brewery tours to shopping, the arts and the great outdoors. 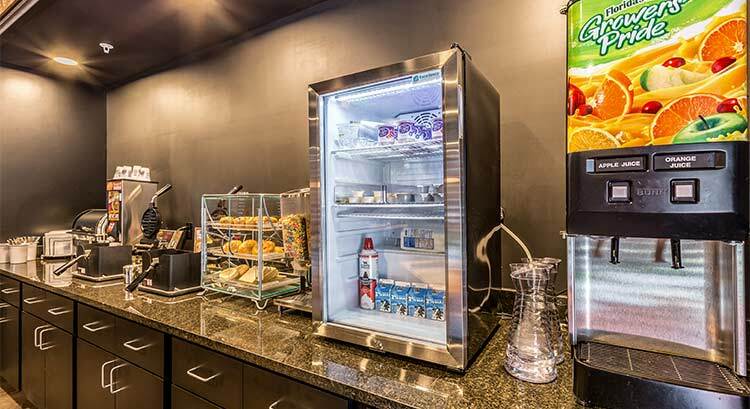 All guestrooms and suites feature signature Cobblestone Hotels® amenities such as microwaves and refrigerators, Wi-Fi, a complimentary hot breakfast each morning, and more. Additional highlights of the new hotel include an onsite restaurant and bar, guest laundry facility, a fitness center, a board room, and a 24-hour convenience store. Start your day in Stevens Point with our delicious complimentary breakfast. 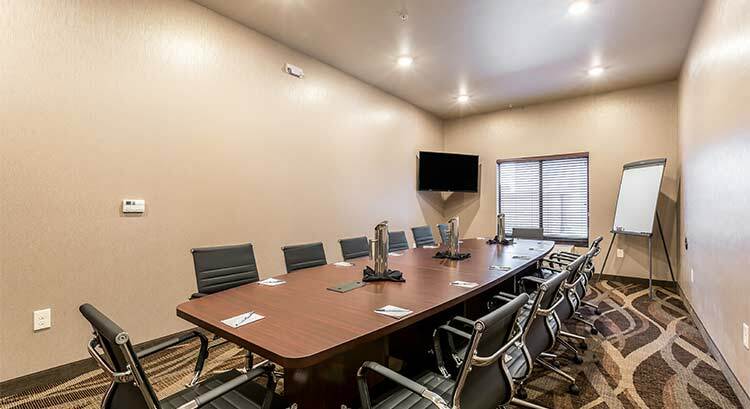 This property features a spacious meeting room available for reservation for your next formal event or casual get-together. 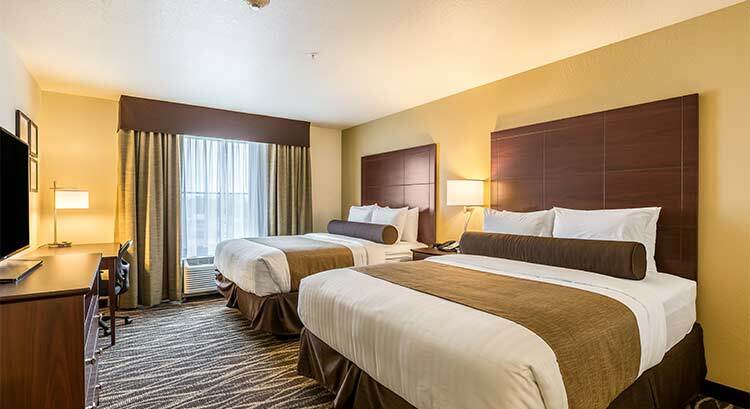 At the Cobblestone Hotel and Suites, our cozy and spacious guestrooms let you unwind, relax, and rest peacefully. 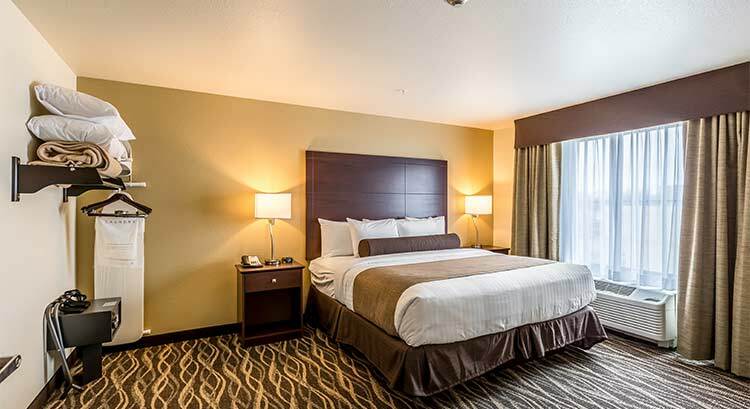 The Cobblestone Hotel and Suites in Stevens Point offers a variety of nearby dining options, attractions, and businesses. To book Stevens Point for a large group, please fill out the form below. This will go directly to the hotel and they will contact you.